A sacrament, is an outward, tangible act, which is the sign of an inward, spiritual reality. Holy Baptism and The Holy Eucharist (Communion) are the two sacraments central to our community. The Holy Eucharist, commonly known as “Communion” celebrates Christ’s life, death, and resurrection through the sharing of bread and wine. This is our primary act of worship. The first part of our service centers around the Word of God (scripture readings, sermon, a statement of faith, and prayers). The second part takes place at the altar, where the body and blood of Christ are blessed and shared among God’s people. 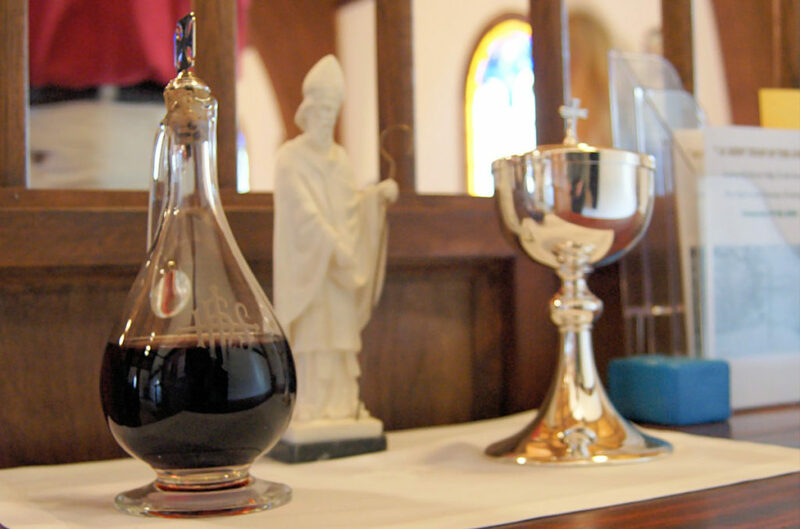 Those baptized in any Christian tradition are welcome at our altar to receive the gifts of bread and wine. Those not baptized, are encouraged to come to the altar for a prayer. Those who wish to remain in their seats, may do so as is comfortable for them. By Holy Baptism, God adopts us as God’s children. Baptism symbolizes the washing away of sin, forgiveness, and a new life in Christ. We recognize baptisms from all Christian traditions as holy and valid. We baptize both infants and adults who are new to the household of God. Those wishing to make a further commitment to walking in the way of Christ are welcome to discuss baptism with one of our priests. Five additional events in the life of the church are also notable for their sacramental character. these are Confirmation, Reconciliation of a Penitent (Confession), Matrimony, Ordination, and Unction (annointing and praying for the sick).